Yellowstone plans to ship 600-900 bison to slaughter this winter | "OUR WORLD"
← How does plutonium affect human health? Last year the combination of slaughter and hunting removed 1,171 bison from Yellowstone. Of that total, 375 were killed by hunters — mostly tribal hunters — and 694 were sent to slaughter. The meat of the animals slaughtered is distributed to participating Indian tribes. 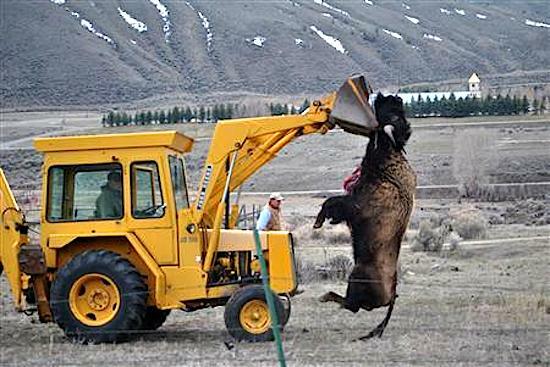 Another three bison died in captivity. The removal of bison is biased to females and young because they are the ones that tend to migrate, White said. That means that the population is trending toward an increase in the number of males, although it’s still deemed within the desired conditions, he explained.